I had the privilege to serve as the first Artist in Residence at Shenandoah National Park from September 22 through October 3, 2014. These images are the result of that experience. 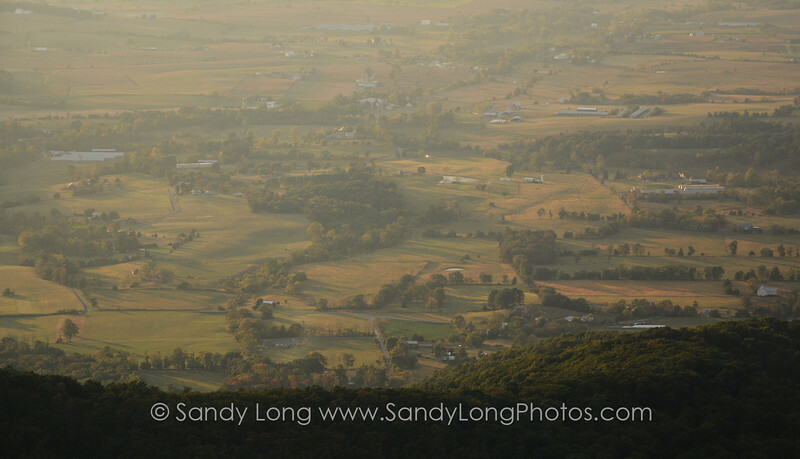 A percentage of the profit on their sales will be gifted to the Shenandoah National Park Trust, which supported my 12-day photographic journey through this magnificent park in Virginia. See below for more. From Shenandoah National Park's grand landscapes and dreamy vistas, to its diverse flora and fauna, to its most delicate notitia—I sought to capture those essential details at the heart of our place-based relationships by exploring peaks and trails, chasing sunsets and sunrises, prowling through meadows and climbing mountain trails during various times of day and ever-changing weather conditions. It is the type of work I do in the Upper Delaware River Region of PA and NY, through which I have come to understand that deepening connections to places we love fosters a sense of gratitude and can impel us to act on their behalf. We will work hard, take risks and commit resources to protect what we love. We may even make better choices as a result of the restorative healing experiences that can happen when we connect with the natural world. It is my hope that these images raise awareness of the importance of protecting the priceless natural resources to be found in our national parks. The residency also celebrated the 50th Anniversary of the Wilderness Act, signed into law on September 3, 1964. We acknowledged this with a guided walk at Big Meadows on National Public Lands Day, September 27, during which we discussed the significance of the park’s nearly 200,000 acres of protected land. In addition to enhancing our own well-being, protected land serves all life forms that depend upon intact habitats and clean water for their survival. Wilderness funds something deep within us that is easily depleted in today’s fast-paced world—and necessary to our survival. The artist responds to this equation by exploring experience and returning with their creative offering. From the slow and mesmerizing miles of Skyline Drive and its breathtaking overlooks, to the heart-pounding climbs to astonishing peaks, to the mist-clad mornings that obscured those longer views but brought into focus the exquisiteness of lichen and moss on massive rocks and artfully angled trees where birds perched while sharing their delicate songs—here is my offering. I am particularly grateful to the Shenandoah National Park Trust for providing the funding for my lodging and meals, and to the National Park Service for establishing this program at Shenandoah National Park. Both are to be commended for recognizing the value of the relationship between the arts and advocacy for the natural world.